A cream pie in the face! It’s an ageless slapstick comedy routine that is also the inspiration for Hasbro’s Pie Face Game. Thanks in part to a viral video, this equally ageless game is sure to inject a little slapstick comedy into your next family gathering. 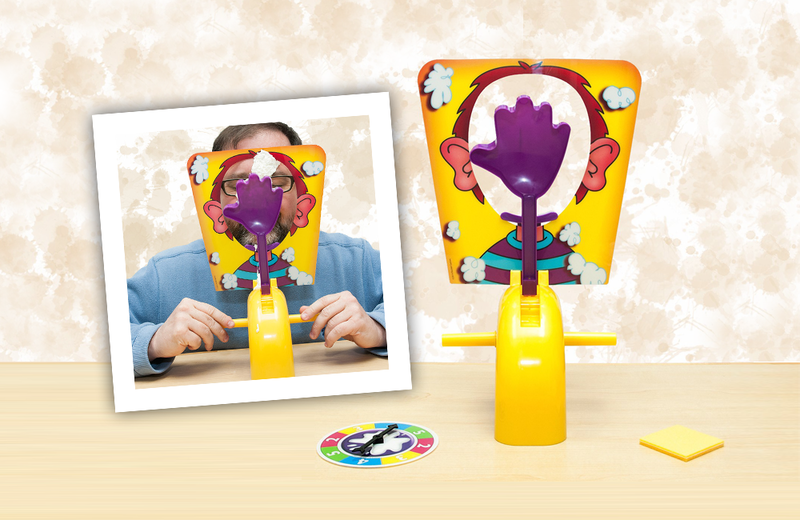 In this piece on Wink Fun, I review Hasbro’s reboot of the classic Pie Face Game.